I am a sucker for those time-line charts that bring unrelated events together. What were the Chinese, or the Mughuls, up to when Queen Elizabeth I was on the throne? Were the Aztecs building pyramids at the same time as the Egyptians? (No). The current brilliant exhibition of King Charles I’s collection at the Royal Academy made me realize how my own patrons, John Tradescant père et fils, witnessed, and were part of, the most thrilling moment in the history of English taste, when the Renaissance arrived in England. There was nothing colourless about the Tudors; they revelled in bright colours. In gardens painted figures, posts and fences must have produced a sort of fairground feel, where today even in winter we scrabble around for any plant in flower or with coloured leaves; paint would somehow be an admission of failure. But the Stuarts, when they came to the throne, brought richer, more saturated colours, style, lustre, elegance, brilliance, confidence and swagger to the court. Shakespeare wrote his greatest plays. Inigo Jones, designer of Royal masques, went to Florence to see how the Medicis did it. I find it hard to believe Shakespeare didn’t go to Italy too. Charles I invited Rubens to London. Van Dyck came and went and finally stayed. We have the landmarks of the Queen’s House at Greenwich and the Banqueting House. 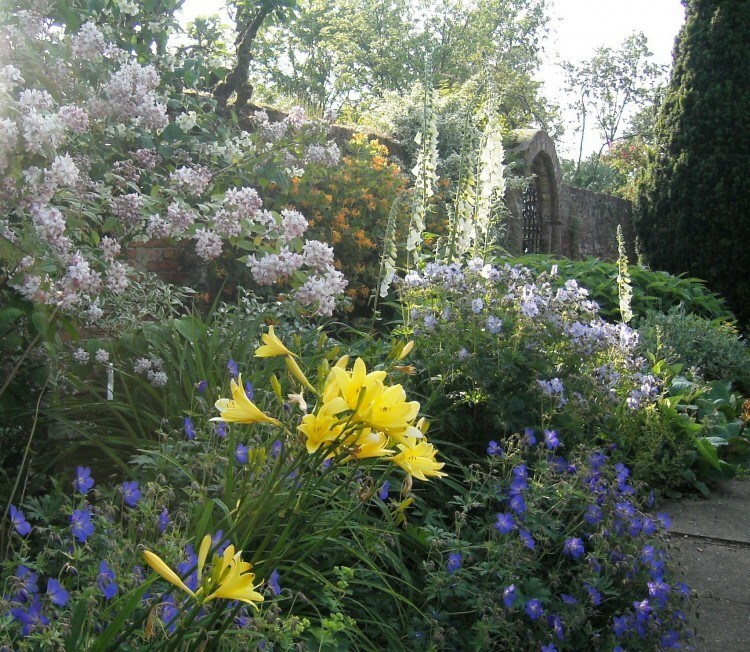 What do we have in the way of gardens? Hatfield House is the obvious place to look, and Mollie, the late marchioness, managed to invoke their great gardener in her marvellous knots and parterres. I always think of Ham House in Richmond for the feel of the Stuart court, although in reality it was given its present rich patina after the Restoration – and by the National Trust. 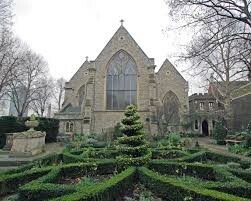 The truth is we don’t have a Tradescant garden design, but Trad père would surely have been more Tudor than Stuart, and Trad Junior more in the renaissance spirit. Historic House Hotels is a group of three distinguished country houses converted into hotels and given to the National Trust by a philantrophist who deserves our applause, Richard Broyd. It was his idea to buy them, restore and adapt them, his skill that made then both convincing and authentic as both country houses and hotels, and his generosity that paid the bills. Hotel profits all go to the Trust; it is a remarkable gift. We had stayed before at Middlethorpe Hall in York, a handsome Queen Anne house with a lovely garden, once the home of Lady Mary Wortley Montagu, beside York racecourse. We know Bodysgallen Hall, in ‘our’ part of North Wales, very well, particularly its seemingly original 17th century garden. Hartwell House, the nearest to home, we had never visited, despite its intriguing story (see Trad’s Diary, July 7, 2015) as the residence for five napoleonic years of the exiled King of France, Louis XVIII, the fattest of his line, who made maximum use of the kitchen garden. None of the three hotels is huge; no Chatsworth or Woburn; rather the big manor, manageable today at a long stretch, and with dedication, by a family. Not intimidating, therefore, as a place to celebrate and stay. 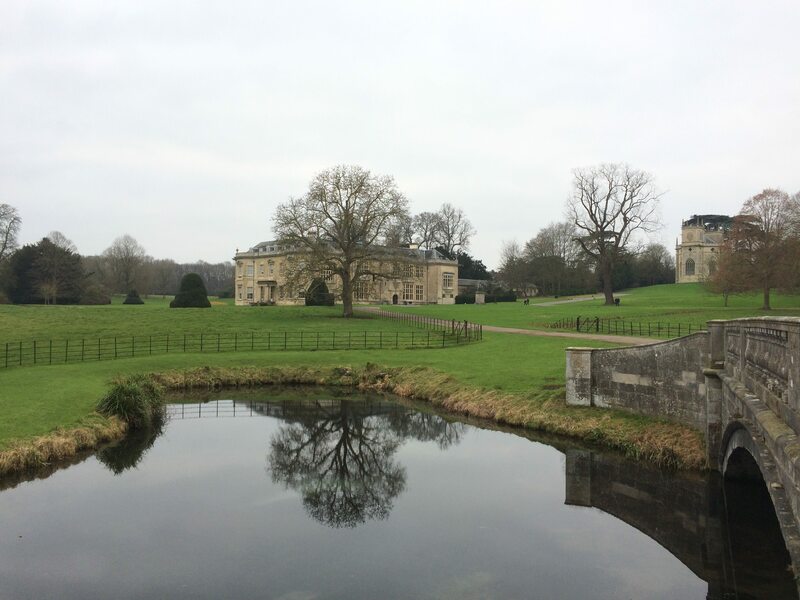 Richard Broyd and the National Trust have perfect pitch for the appropriate tone, standard of decoration and furniture, pictures and upkeep that feel true to life in a country house on this scale. Hartwell sits on the edge of the Vale of Aylesbury, in a park that shows signs of being enjoyed, and added to, in each of the past three centuries. The house, long, low and perhaps just sub-stately, is Jacobean at the front and Georgian at the back, entirely harmonised by the medium of buff-grey stone. If you want to see high horticulture Hartwell is not the place. Cross the Vale of Aylesbury to Waddesdon or Ascott to see garden perfection Rothschild-style; every bud predestined, every twig told what to do. Hartwell is about prospects and produce – and perambulation. The walled garden is for supplying the excellent restaurant (as it once supplied the French king) and the park for amiable strolling after lunch. It belongs to the time when an arch here, a bridge there, a temple on that mound, a statue in that alley, an ice-house by the lake, broad prospects and teasing glimpses were the owner’s orders and the designer’s delight. The owners, in this case, the Lee family; the designer Richard Woods. The fact that today there seems to have been harmonious continuity, and that we can enjoy it, we owe to exceptional altruism. The feral jasmine cascading over the wall from next door, blending indistinguishably with the thick hydrangea and ivy, is starting to flower as though it were at home in its Burmese forest. Does it have no thermometer?Hellebore buds are pregnant; a shy primrose has just opened one eye; the grassy spikes of tommies have appeared and the king of snowdrops, Galanthus elwesii has reached its commanding seven-inch height. It’s all quite late, it seems to me, even the winter cherry, even our December-flowering camellia – except the uninvited jasmine. Though yesterday minuscule points of incipient buds (I need a lens to see them) appeared on Clematis alpina – than which nothing looks deader. We are fifteen minutes to the good of the shortest day. Plenty of action soon. News from Kensington Palace, though (which makes me sound like a Royal Correspondent). Work has started on a new garden in front of Queen Anne’s fabulous Orangery, Hawksmoor’s most elegant London building. The central alley of boring and massively overgrown evergreens; yew, holly and laurel, which was its only feature, is being abolished. Todd Longstaffe-Gowan has designed a formal layout, again around two parallel lawns, with flowerbeds and trim little topiary. Rather in the style, I imagine, of the parterre at Hampton Court. Diggers have arrived: daily excitement to come. 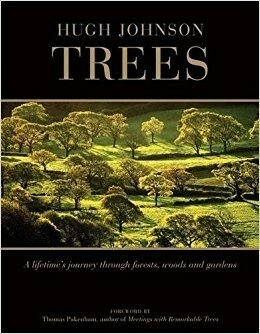 It was a joy to watch Dame Judi Dench on television telling us how much she loves trees. 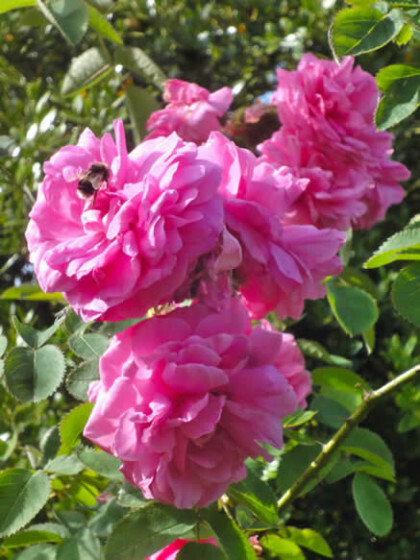 Walking round her garden – others might call it a young wood – with some well-informed guests, Tony Kirkham in particular, to tell her (and all of us) things she undoubtedly already knew, as well as some she didn’t. In either case her reactions were impeccable: surprise and delight registered as if it were a Shakespearean Act V.
Upon those boughs that shake against the cold. It had not dawned on me before that Shakespeare in his youth probably witnessed great abbey buildings being demolished and used as quarries. The Acts for dissolving the monasteries were passed only twenty five years before he was born. It took many years to complete this looting, so he must have seen and wandered in ‘bare ruin’d choirs’, while their choristers, brutally dismissed, looked for work where they could find it. What television that would have made. The nineteen brown leather-bound volumes of The Gardeners Magazine are my winter resort. They carry me to a world where everything is different yet familiar; the gardeners’ world of Britain a hundred and eighty years ago. We were lucky enough to have the most diligent and productive of all editors slaving away in Bayswater on monumental encyclopaedias – and on the magazine he created and ‘conducted’, in his word, for nineteen years. There should be a statue to John Claudius Loudon, in … which garden or square is most prominent, and most visited by gardeners? St James’s Square? Kensington Gardens? Perhaps at Hyde Park Corner. There should be two on the plinth: John Claudius and Jane, Mrs Loudon, herself a novelist (science fiction was her line) and editor, who kept John Claudius going through a series of accidents and misfortunes that would have floored most people. He lost his right arm to rheumatic fever, had a gammy leg, contracted tuberculosis and finally cancer, without ever giving up. Jane must have been largely responsible for his prodigious output. Compared with his encyclopaedias, his Arboretum et Fructicetum Britanicum, his design work – in Derby he created the first arboretum to use the term – his books on suburban villas (a genre he more or less invented) and the style he created, the Gardenesque, The Gardener’s Magazine may seem a lighter matter. I have edited a gardening magazine, in the age of telephones and typewriters (if not of the internet) and I bear witness that keeping correspondence going, and not just in this country, is patient and laborious work: he provoked and published articles from round the world. He had contacts in Australia, Russia, India.… everywhere he could communicate with gardeners. He toured the continent, collecting ideas, inspecting gardens everywhere he went. He developed the glazing of greenhouses (and inspired Joseph Paxton). He had strong ideas on every subject – which he was always ready to change. He was severe in criticism: if he didn’t like a garden or plant, he said so without fear or favour. The Gardener’s Magazine, its pages tight with information in tiny print, is endlessly worth reading. The year 1838, the twelfth year of the magazine, begins with reports of a destructive winter from gardeners in Birmingham (where Loudon had designed the new Botanic Garden), at Dropmore, Highlands Park at Chelmsford, in Windsor, at Bicton in Devon, in Ireland, on Jersey and as far away as Berlin. It was after Christmas that the frost set in; the temperature fell to 0’F. ‘In all valleys and confined spaces, where the air was charged with moisture, the effect was most marked’. The casualty list contains few surprises; it only emphasises how close we are in experience as well as spirit with our forerunners. I have Loudon for company during these grey afternoons; may we be spared an 1838 winter. Two weeks ago the tennis court across the road was piled high with Christmas trees: nine hundred of them, firs, pines, spruces, a beauty parade as shoppers stood them up, measured them, appraised their symmetry and worked out how they would fit between the sofa and the television. Then they were pushed through something like a hospital scanner that encased them in netting. The big topic on the court was how soon the needles would fall off and how it relates to the setting of your central heating. We took an alternative course. Our tree goes in the front window. Once it’s there you can’t pull the curtains, but half the object is to look cheerful to passers-by. This time we promoted the little orange tree that lives on the veranda at the back of the house with its cousin, the Meyer’s lemon, to the front of house role. We supplemented its few tiny Calamondin oranges, dressed it with winking white stars and draped the window with more silvery lights. In all modesty I think it’s the prettiest tree in the street. But the wreaths. Every front door is bedecked. We could have a competition for the biggest, the greenest, the most original, the glitteriest, the most expensive…. The florists at Rassells Nursery opposite have been bending twigs and wiring in flowers and birds, balls and trinkets since November. The process started, they tell me, in summer when they make the wire frames and cover them with moss, to stand outside and await their big moment. There are hyacinths, primulas, narcissi and of course poinsettias filling the nursery with bright colour, but the hero of the mid-winter hour is the cyclamen, in every cyclamineous colour. The extremely-variegated ones are my favourites: white-bordered leaves of beguiling shapes and very white flowers: a tiny snowstorm in a pot. 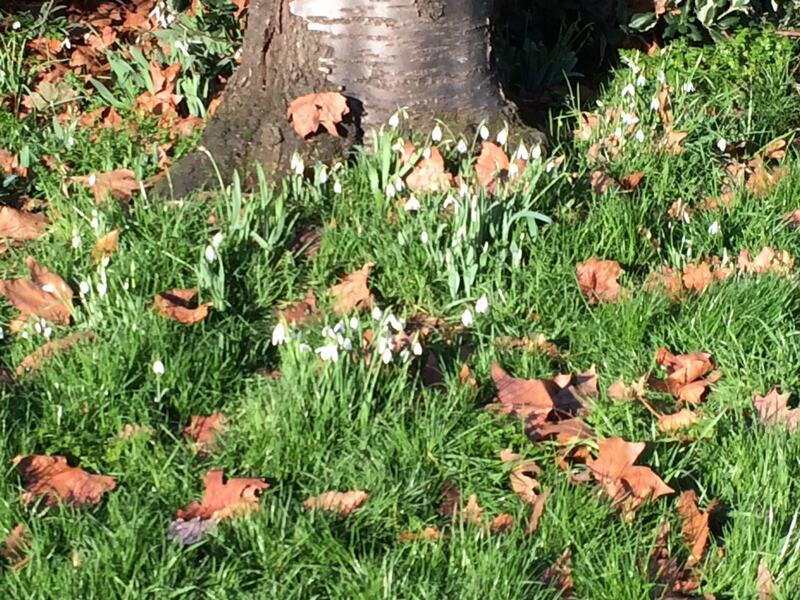 I spotted my first snowdrops in Kensington Gardens the other morning, near the Italian Garden. Then I retreated from the sleet, lit the fire and started googling. If there are better ways to forget the gathering gloom at three o’clock I’ve forgotten them. My first question to the omniscient sage was when were Kensington Gardens, planted and laid out as the gardens and park of a royal palace, first opened to the public – and the answer: gradually, during the time of the Georges, but only to people who were ‘respectably dressed.’ When Victoria, born in the palace, became Queen in 1837, she moved to Buckingham Palace and Kensington Gardens soon became a popular promenade. But googling Kensington Gardens then brought me to a poem, and a poet, I had never heard of. Thomas Tickell was, I learnt, a friend of the local essayist Joseph Addison (who founded The Spectator and gave his name to Kensington’s Addison Road). Those were the days of the heroic couplets that sound so rumpty-tum today. You can get away with quoting a line or two of Pope, and maybe Dryden, but the long rhyming columns that amused Georgian gentlefolk no longer cut it these days. One of Tickeill’s longest efforts (500 lines of it) is called Kensington Garden. The plot needn’t detain you: we’re in the realm of fairies. Prince Albion is in love with Kenna, the mythical princess of Kensington. He is mortally wounded. She looks for a plant to cure him, and comes up with a snowdrop. Or is it? It looks like one, but perhaps it’s the mythical moly. There were once as many mythical plants as animals. Unicorn, Griffon, mandrake and moly were all good enough for the pre-scientific world. Phylidda Spore, the headmistress of Hogwarts, gives more details in her 1000 Magical Herbs and Fungi. Moly is described as having a black stem, white flowers – and the power to counteract enchantments. It was also hard, or impossible, to pull out of the ground. There is a species with its name today: the little yellow Allium moly. Tennyson’s lotus eaters, Ulysses’ crew, drowsed away their time ‘prop’t on beds of amaranth and moly.’ Amaranth is Love-lies-bleeding. Perhaps Kenna would have done better with that. ”By a false heart and broken vows/In early youth, I die./Am I to blame, because his bride/Is thrice as rich as I? I’ve written thousands of picture captions in my time for various books and magazines. They are the writer’s, or editor’s, first point of contact with the reader. Whose eyes don’t flick first to an illustration, then to the little explanation contained in the caption, before committing to read the bulk of the text? The sort of illustrated books I’ve written are constructed round this formula. Punchy captions packed with a surprising amount of information are best. ‘Three facts a line’ is my motto. And yet I’ve seen captions as clueless as ‘A church in France’. Garden picture books can make lovely browsing, but captions determine the way we look at the photos. They can just tell you that the plant in the foreground is Persicaria ‘Firedance’, the rose ‘Maigold’ or the hills in the background the Brecon Beacons, – or they can interpret the scene for you. Culturally (it’s acid soil with high rainfall), historically (the terrace was built in 1900; the name of a designer), pictorially (the yew on the left balances the pergola on the right), ecologically, chromatically (colour contrast or harmony), hortatory (it’s time to get mulching) or even gnomically – in the spirit of Little Sparta. How would you caption the photo above? Is it about foxgloves, or complementary colours? Or maybe deutzias, or backlighting, or the shelter of a wall? Whatever captions say, they direct your attention to this aspect or that. They prevent the garden from speaking for itself. I have often been tempted to label some garden incident, or corner, or vista with some form of notice, written on paper or carved in stone. If you have tried to create a mood, uplifting or contemplative, there is a temptation to say so. Avoid it: if you need to you have failed. Plant labels, of course, have a different purpose. Making them permanent, legible and discreet is an art in itself.